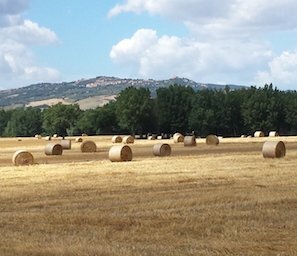 From Cortona to Pienza cycling through the two most beautiful valleys in Tuscany. Lone cypresses, lunar landscape, golden ochre. 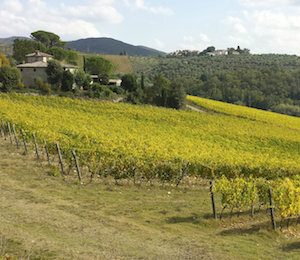 This is "Terra di Siena," the magic and untouched part of Tuscany. 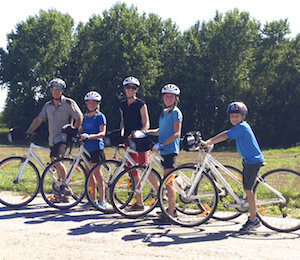 The perfect family biking adventure, there is something for everyone on this unforgettable multi-activity tour. But just because it's great for families doesn't mean you need to be one to enjoy. Anyone wanting easier biking combined with stunning scenery, exceptional cuisine and lots to see, do and experience will love this! 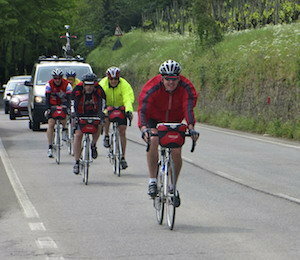 If you're an experienced cyclist seeking a little extra adventure and independence (but not at the expense of comfort and peace of mind), then this trip is for you. 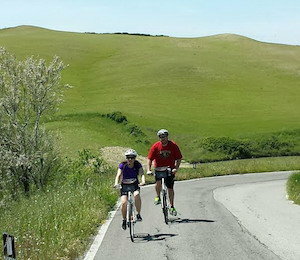 This is a great bike tour starting in Greve in Chianti and ending six days later in Rapolano Terme. 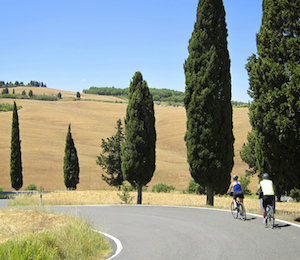 Bike your way from Florence to Rome through the old Roman Cassia road. 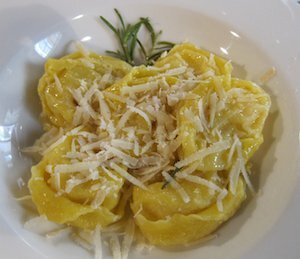 Easy biking, extreme dining in Italy's culinary and musical epicenter - EMILIA ROMAGNA! 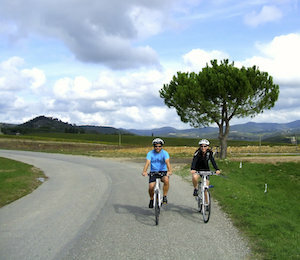 I Bike Tuscany is not just about Tuscany. 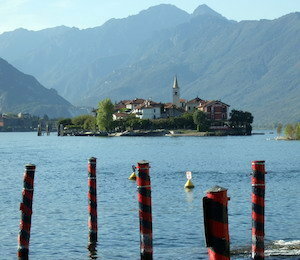 In fact we couldn't resist offering you this tour of two of the most beautiful areas in Italy. 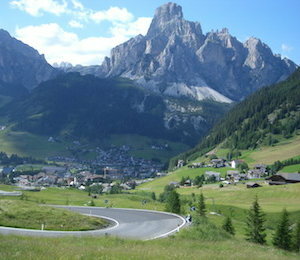 The most beautiful (and challenging) mountain roads in the world under your wheels. 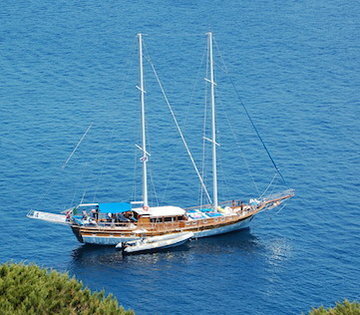 Bike on the splendid coastline of the Eolian Ilands and hike the volcanos. 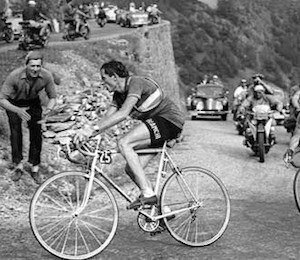 The legendary climbs of the "Giro" and the "Tour". IBT takes you there! Hope that you are doing well. 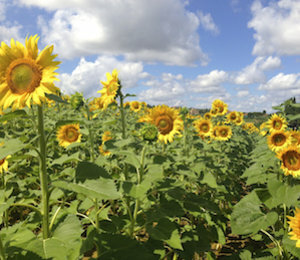 I want to thank you again for a fantastic week in Tuscany. The trip was outstanding! I appreciate all your hard work that you put into it to ensure that we had a great time. It was duly noted! I also appreciated having Leif there. He was a solid assistant and guide on the road. Éric Archambault & Patsy Nicholson de Montréal !